A friend sent me this link about growing up with a mentally ill mother. Because mental illness is at a crucial point in society and because there is no One answer for it, it’s a good reminder of how compassion helps heal. Both Holly Chadwick’s parents suffered with it. Her dad’s was from PTSD and the Vietnam War. Her mother was schizophrenic who had constant music playing in her head. Raised mostly by her grandparents, they also helped support their daughter’s mental challenges. Holly saw it first hand, how society turned away from those with the illness. “People don’t see her as a person. People with disabilities aren’t treated as whole people. I’ve seen it at the doctors, going to a restaurant”. 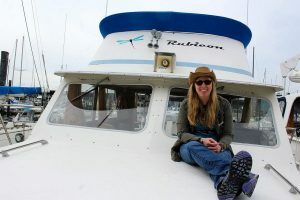 Holly has turned her journey into her first web-based short-segment series called “The Sounds of Freedom” in 2012 and filmed scenes around Whidbey Island, WA. Available on Amazon Prime, the series follows two veterans of two different wars struggling with post-traumatic stress disorder. The series is now being considered for a pilot and hour-long episodes. It’s also won awards and film festival acclaim. 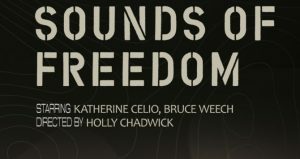 “The one I’m proudest of is debuting ‘Sounds of Freedom’ on Veteran’s Day in New York City at NYC Web Fest and winning Best Director for 2017,” Chadwick said. 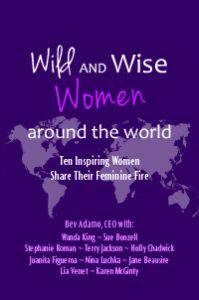 This is why Holly was selected to be included in the “Wild and Wise Women Around the World; Ten Inspiring Women Share Their Feminine Fires” book and how she came to being interviewed. Taking this another step forward brought me to the link below. Collaborations have brought these stories to the attention of others. From them a whole other support avenue has emerged, helping sisters around the globe. Authors appearing in the “Ten Inspiring Women” book, being launched online March 28, have all agreed profits will be used to empower artisans in India. Chadwick learned about the project via women she met networking online when she sought encouragement and a sounding board. 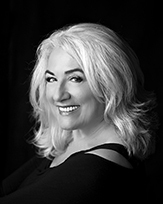 Bev is a powerhouse and the fearless CEO of Wild and Wise Women. As owner and CEO of Wild and Wise® Enterprises, Inc, Bev’s purpose on this planet is to lead herself and other powerful, awesome, and amazing women into the truth of who we are. She is a huge believer in self-love, witnessing her own healing as well as the healing of those around her. She has experienced the miracle of life, death, and rebirth through the unique and inspiring experience of her husband Ric dying in her arms and then fighting his way back to life for Three Reasons. As she walked through the internal and external hardships of life, she was able to gain a bird’s eye view on why we suffer and how to transform our suffering into healing and joy. Take some time and read more about her. Her mission resonates with my own.